We recommend that you first pinch Burgundy Ruffles 5-10 days after transplanting to your final container. Pinch regularly to encourage branching for height control and shape. Burgundy Ruffles can be susceptible to downy mildew.To prevent this fungus, lower the humidity and water plants in the morning, allowing leaves to dry out thoroughly in the afternoon. (Horizontal fans at floor level can greatly improve air circulation to facilitate drying and reduce fungus problems.) If spores form (on the bottom of the leaf), treat with Adorn. 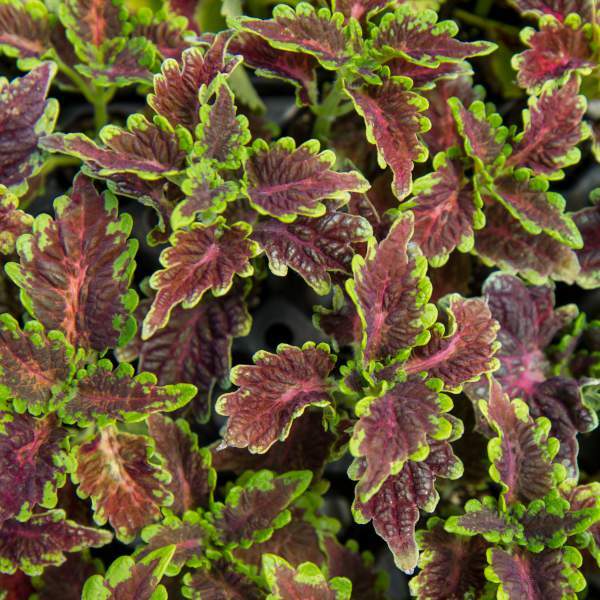 Pinch Burgundy Ruffles 5-10 days after transplanting to your final container. Additional pinches every couple of weeks may be required to shape your final pot.